Main Stone: AAA Zircon Setting: Hand Setting, Bezel Setting, Wax Setting, Etc. Romantic fantasy double heart-in-heart story with white zircon sterling silver necklace. Love gift for birthday, anniversary, Valentine's Day, etc. 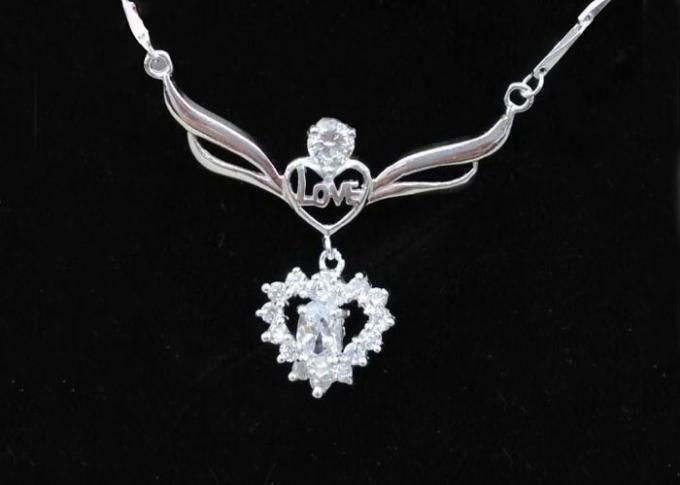 925 sterling silver chain with love letter in heart shape. 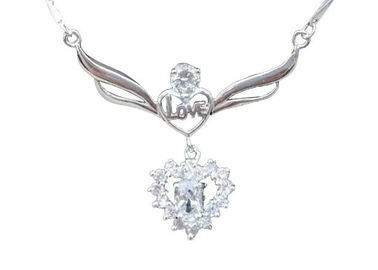 The love heart with wings connected to the chain. The surface of love and wings are special hand-polished, creative the special feeling lik the hands' of mom.